Minnesota’s capital city of Saint Paul now has an African-born person on its city council. That city’s council and mayor appointed Somali-American Kassim Busuri last week to take up a seat that opened up in December after the retirement of Dan Bostrom who had served for 22 years. Busuri will serve the remainder of Bostrom’s term which ends on December 31, 2019. 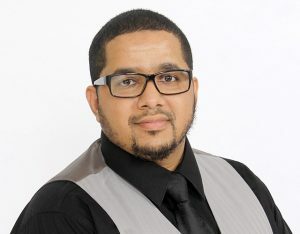 He is the director of the Minnesota Dawah Institute and previously served as coordinator of the Community Ambassadors of the City of St. Paul Downtown. Additionally, he has served on the St. Paul chief of police advisory council. Councilman Busuri is already in office as of the writing of this report but the official inauguration ceremony will take place on February 6 at City Hall on the 3rd floor. He is the first Somali-American to sit on the Saint Paul City Council. Busuri will represent the Sixth Ward which is in Saint Paul’s East Side and includes the following neighborhoods; Frost Lake, Hayden Heights, Hazel Park, Payne/Phalen, Phalen Village and Prosperity. A total of six finalists interviewed publicly for the position and eventually the council and mayor selected Busuri. Another Africa-born finalist was Eritrean-American Wintana Melekin, a former Minneapolis NAACP officer and African Awards winner. Busuri has not indicated whether he will run for a full term when election time comes later this year but three people as of the writing of this report had already announced they will run for the seat when Bostrom announced his retirement and before Busuri was appointed.